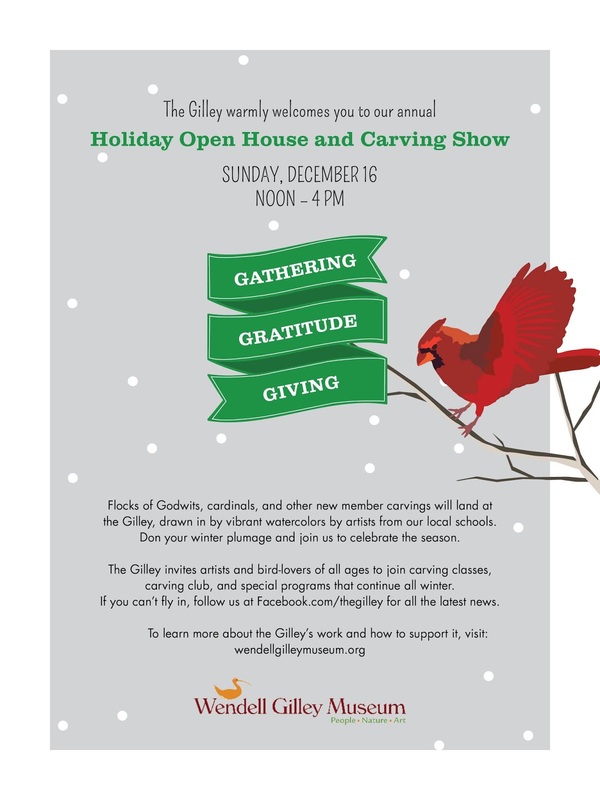 Sunday, December 16, 12- 4pm Flocks of marbled godwits, cardinals and puffins will land at the Gilley, drawn in by vibrant art by local student artists. Join us to celebrate new carvings by Museum Members, watercolors by 5th and 6th graders from local schools, and puffins by students from the Schoodic Arts For All after-school program. Live music, good food and drink, and great art. All are welcome, and admission is free. Bar Harbor Bank & Trust concluded their 30th annual “Food for Good” community food drive on November 16, 2018. This year the event took place in over 50 communities across Maine, New Hampshire and Vermont. Prior to the Thanksgiving holiday, more than 5,000 food items were collected and delivered to 36 local food pantries spanning from Lubec, Maine to Brandon, Vermont. 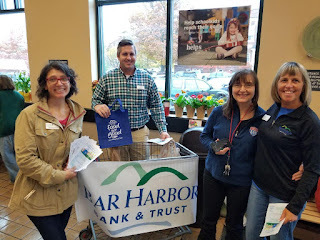 Left to right: Jenny Jones of the Bar Harbor Food Pantry, Josh Yarbrough of Bar Harbor Bank & Trust, Dorian Daniels of I-95 radio (95.7 FM) and Lisa Parsons of Bar Harbor Bank & Trust collected food donations at Hannaford in Bar Harbor as part of Bar Harbor Bank & Trust’s 30th annual “Food for Good” community food drive. Additional contributions were made and collected by the local employees of Acadia National Park to help friends and neighbors in need.